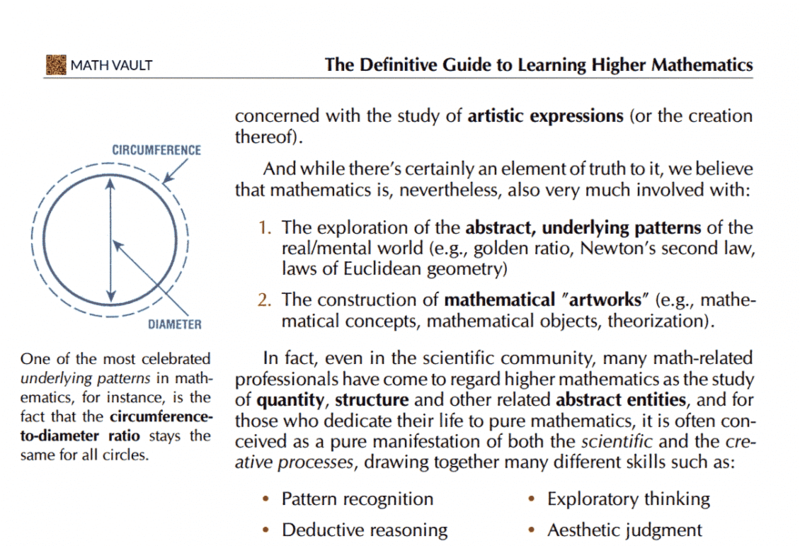 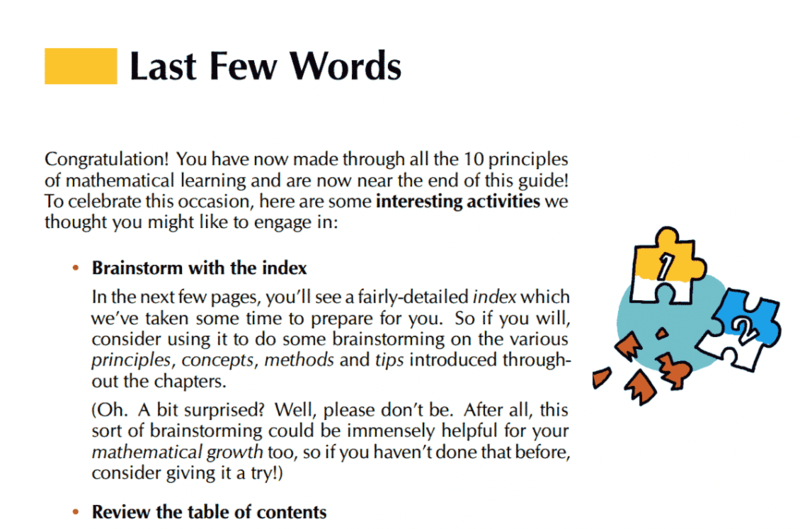 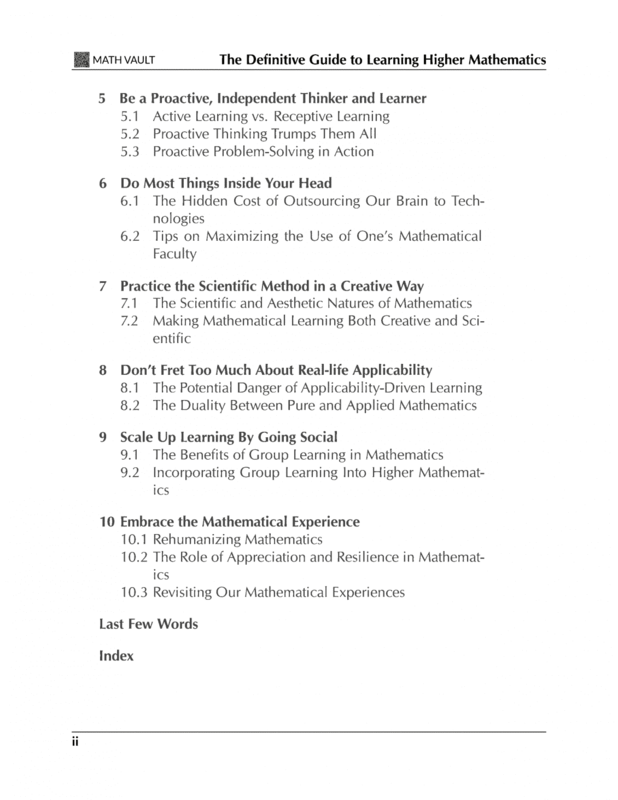 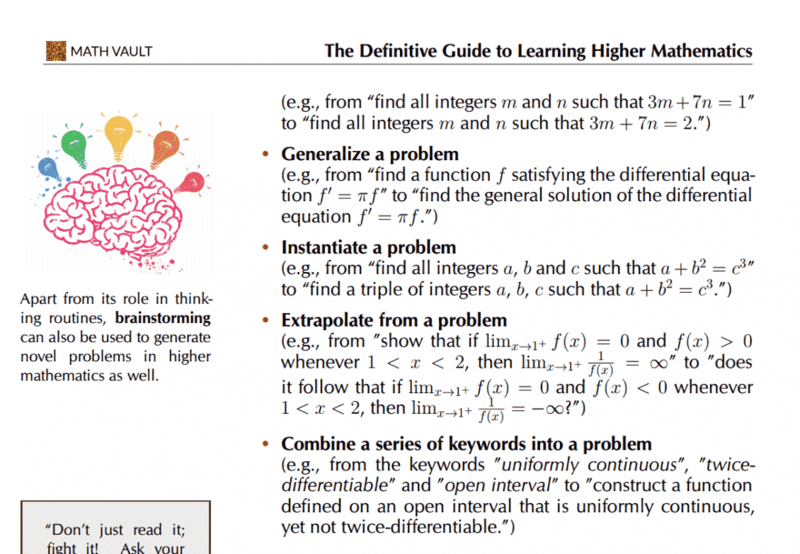 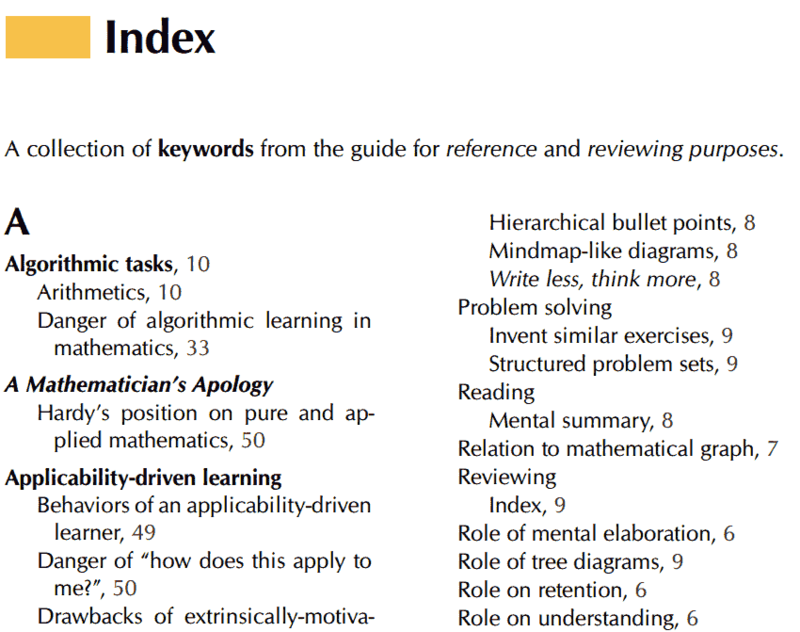 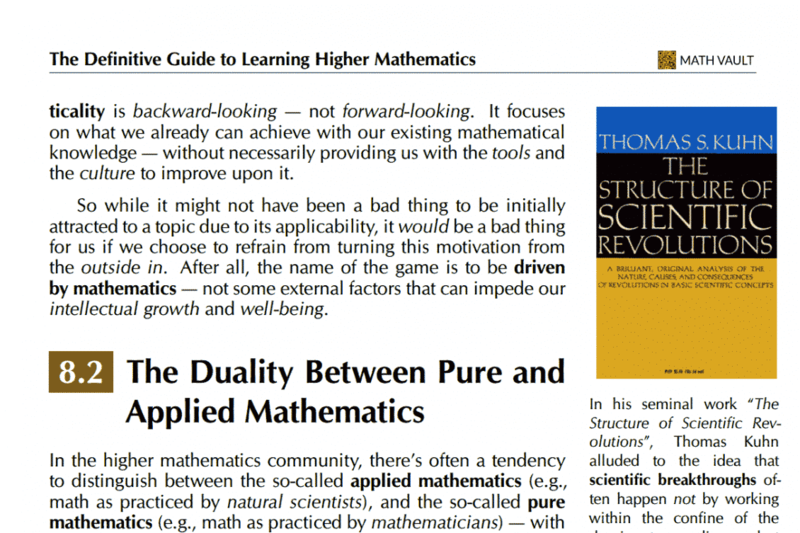 A comprehensive, illustrated guide on optimizing higher mathematics learning through the lens of 10 foundational principles and numerous actionable tips. 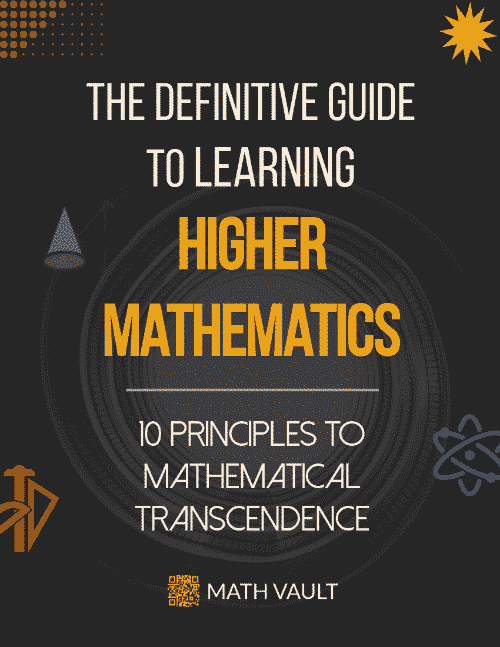 A comprehensive, illustrated guide on optimizing higher mathematics learning through the lens of 10 foundational principles and numerous actionable tips. 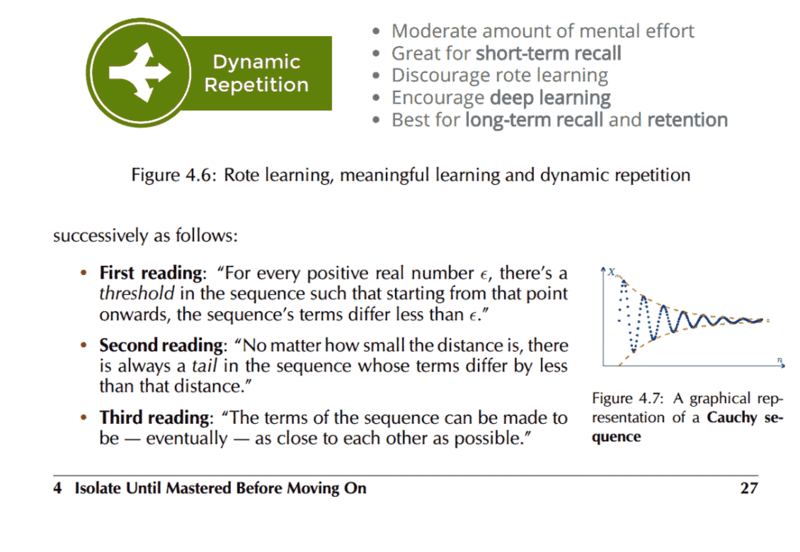 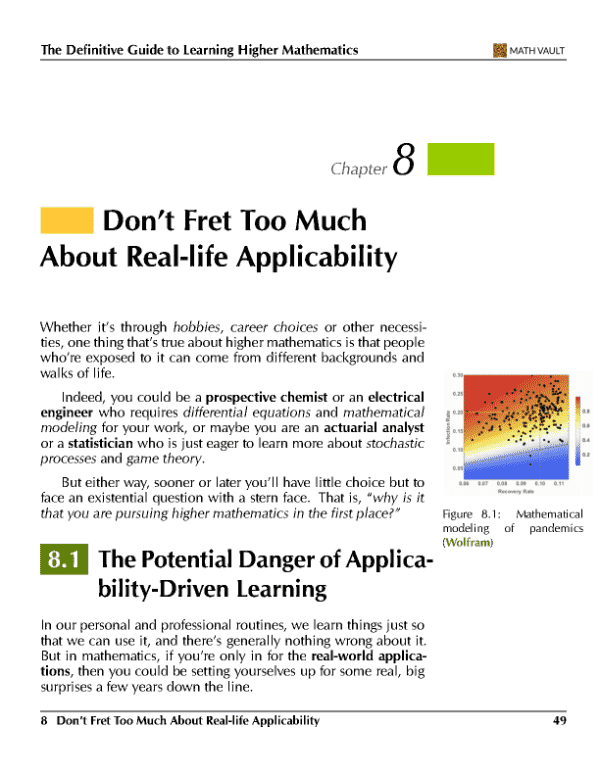 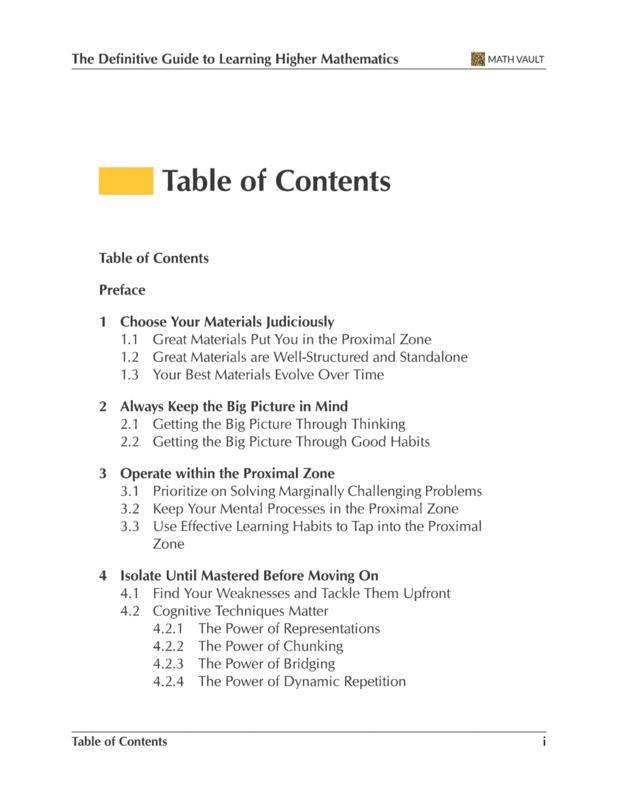 In 10 chapters and 86 pages, it covers topics from the selection of educational materials, big picture thinking, proximal zone, cognitive techniques to proactive learning, head-processing, scientific method and social learning, with extensive annotations, pro-tips, quotes, illustrations and a linkable index for reviewing and reference purposes.